Back in May, we published the blog: ‘How to clean your Euphonium’, which gave anyone looking for hints & tips around the best way to clean a Euphonium the information you needed to get it right first time; from the most efficient way to deconstruct your instrument, to the best grease to use on your valves and slides (we recommend lanolin!) to keep them from sticking. Particularly if you’ve never owned a brass instrument before, if you’ve just purchased your very first Euphonium or you’ve simply never cleaned your current Euphonium and need a reminder, having an easy-to-follow, go-to guide on how to clean your Euphonium we thought would be useful. What’s also useful to note, again particularly if this is your first Euphonium, are the benefits of regularly cleaning your Euphonium. How regularly should you clean your Euphonium? So, when we talk about cleaning your Euphonium, we’re talking about 2 things; the regular cleaning and the deep cleaning. Ideally, an impassioned Euphonium owner would clean your valves and slides every 7 - 10 days; ensuring these integral mechanisms are kept from becoming stiff or sticky. Alongside this, deep cleaning - bathing your Euphonium - should take place every 4 - 6 months. Although cleaning your Euphonium is probably the last thing you think of after a long day, keeping your Euphonium clean, and all the moving parts maintained is an incredibly important part of your role as a musician, and something you should always make time for, even when on the road! Having the right tools to clean your Euphonium is also really important; using the wrong tools leaves you vulnerable to partial damage and could lead to further complications. It may be easy to forget to do it, but the benefits of cleaning your Euphonium are vast, and - realistically - regular cleaning only takes a few minutes of your time each week. Think of it as a long term investment! 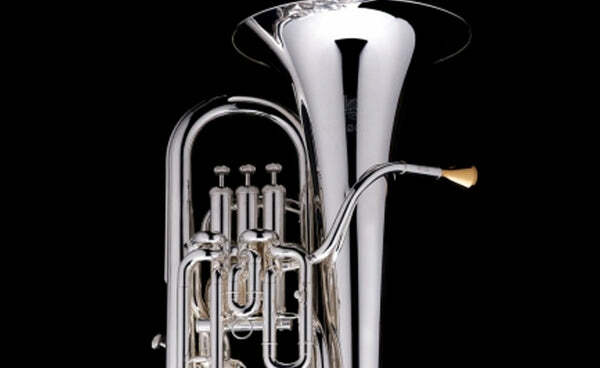 If you’re looking for a new Euphonium, please browse our online shop.